Paramount Home Media Distribution announced this past week that writer Chris Rock, director Chris Rock and star Chris Rock will team for the Blu-ray/DVD Combo Pack and DVD release of Top Five on Mar. 17. The ARR is 95 days and domestic ticket sales were right at $25.3 million. Andre Allen (Chris Rock) is having a crisis in his life. He’s Hammy, the Bear — seriously, his mega-status (moneywise) spins on the film franchise starring Hammy, the Bear. And he’s Hammy (in a bear costume). But, he wants more and his latest “serious” film effort is a dud at the box office and savaged by critics, including one critic whose identity plays an important part in the storyline. If the pressure of Hammy and the bad reviews weren’t enough, he’s also getting married to Erica (Gabrielle Union) and the whole wedding thing is being turned into some sort of reality television event. With this as the set-up we are introduced to Chelsea Brown (Rosario Dawson), a reporter who is about to conduct an in-depth interview with the stressed-out Andre … and wouldn’t you know before a line is written, thing go from bad to worse and then veer off into the out-right strange. The interview gives Chris Rock the opportunity to introduce some “flashback” moments, his encounters with future-bride Erica give him the ability to introduce some cringe-worthy elements and his adventure with Chelsea allow the filmmaker to bring in other comedians — Whoopi Goldberg, Adam Sandler and Jerry Seinfeld — for some nice comic touches. He even gets to do a late-film stand-up sequence that is out-and-out funny. 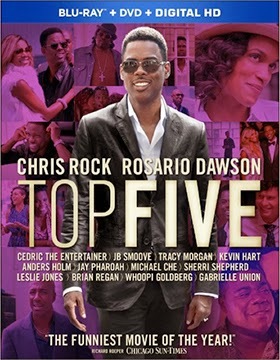 Top Five is, by design, a vanity piece showcasing the talents of Chris Rock and it delivers exactly as promised. 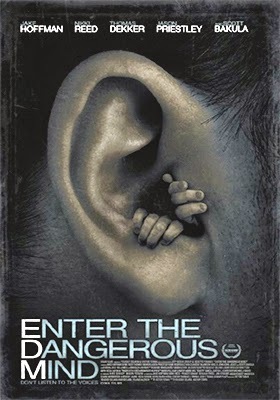 Well Go U.S.A. has captured the domestic distribution rights to writer/director Victor Teran and co-director Youssef Delara’s twisted thriller, Enter the Dangerous Mind. An early February theatrical showcase run (for critical awareness outside of the film festival circuit) is planned with Blu-ray and DVD editions set to street on Apr. 15. Jim Whitman (Jake Hoffman — The Wolf of Wall Street, 10 Years Later, Click, etc.) lives in the web-world of alternative music, which brings with it a loyal following. To most it sounds like harsh noise … loud and in your face. To Jim, it is somehow soothing, although with the meds he is on it is difficult for one looking in the “bell jar” to understand how that could be so. Jake (Thomas Dekker — as John Connor in the TV series, Terminator: The Sarah Connor Chronicles) is his roommate, whose general purpose seems to be to get Jim out of his safe little shell (the apartment) and out into the real world. That, as it turns out, is a mistake, which is compounded by Jake’s misguided, but well-meaning, take on women. Oh, did we fail to mention why Jim, the alternative-music composer, is on drugs? That becomes pretty apparent as Enter the Dangerous Mind progresses. He meets a girl named, Wendy (Nikki Reed — perhaps best known as Rosalie in The Twilight Saga film series), who just so happens to like (love) his music. She introduces him to the club scene (the wall of the web is broken) and it is all down hill from there (there are voices involved in the race to the bottom). It is an overload for a schizophrenic … a safe environment with drugs is shattered with the real-world experiences of a woman, real fans and all of those voices in his head come together all at the same time. You know those scenes with a timer clicking down to zero and then KABOOM! That’s Jim!!! Well Go U.S.A. invites you to settle in, get that seatbelt fastened really tight and enjoy this very bumpy (and dangerous) ride! The first group arrives on Mar. 3 and leading the parade is the new-to-DVD releases of not one, but two of Humphrey Bogart’s pre-Casablanca films, director Lewis Seiler’s 1942 film production of The Big Shot and the 1938 musical comedy, Swing Your Lady (an interesting cast that includes Penny Singleton and future president, Ronald Reagan). 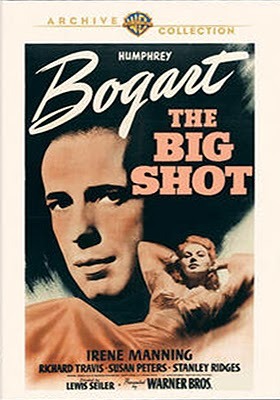 After the Maltese Falcon and High Sierra, The Big Shot must have seemed like a bit of a letdown, but for Bogart fans it is one of those “who cares” moments … just to have this seemingly lost film available on DVD is nothing short of wonderful. Irene Manning (Yankee Doodle Dandy, Shine on Harvest Moon, etc.) and Richard Travis co-star. 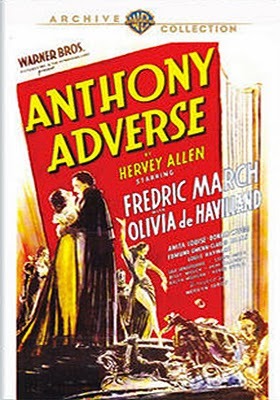 Leroy’s film adaptation of Hervey Allen’s 1933 novel, Anthony Adverse. This all-star cast sports the likes of Fredric March (five times nominated in the Best Actor category … two wins: The Best Years of Our Lives and Dr. Jekyll and Mr. Hyde), Olivia de Havilland (five Oscar nominations … two wins: Best Actress for The Heiress and To Each His Own), Louis Hayward, Claude Rains (four acting Oscar nominations), Edmund Gwenn (Oscar-winner for Miracle on 34th Street) and Gale Sondergaard, who won the Oscar here for her performance in the Best Supporting Actress category. Rounding out the Mar. 3 new-to-DVD selections are: Bad Men of Tombstone (1949, Barry Sullivan, Broderick Crawford and Marjorie Reynolds) Black Midnight (also from 1949, Roddy McDowall) and Seven Angry Men (1955, Raymond Massey is teamed with Debra Paget and Jeffrey Hunter). On the Blu-ray release front on Mar. 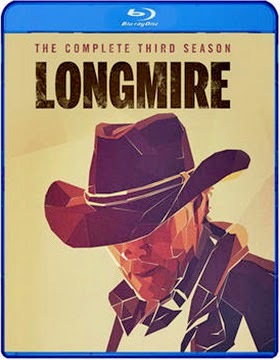 3, Warner Bros. Home Entertainment has added a three-disc SKU of Longmire: The Complete Third Season … that should please fans of this Robert Taylor, Lou Diamond Phillips and Katee Sackhoff modern Western television series (a 10 episode re-boot is promised for later this year). Mar. 10 brings to DVD director Frank Tashlin’s 1955 film adaptation of Agatha Christie’s whodunit, “The A.B.C. Murders,” which was retitled for the screen as The Alphabet Murders with Tony Randall as none other than Hercule Poirot. Robert Morley and Anita Ekberg are his co-stars. Dirk Bogarde is front and center in a pair of new-to-DVD product offerings, director Jack Clayton’s 1967 Venice Film Festival Golden Lion nominee, Our Mother’s House and director Anthony Asquith’s 1958 film adaptation of the George Bernard Shaw play, Doctor's Dilemma (opposite Leslie Caron). Rounding out the Mar. 10 DVD additions are David Niven as Dr. Love in the 1966 film release of Where the Spies Are and Sir Alec Guinness is Captain William Horatio Ambrose, the seasick mariner, in the 1957 film release of All at Sea (with Irene Browne). Added to the Mar. 31 release calendar are director Albert Brand’s 1959 drama, Face of Fire, starring Cameron Mitchell as the shunned hero (James Whitmore, Bettye Ackerman and Lois Maxwell co-star) and the 1956 D-Day war thriller, Screaming Eagles, with a cast that features Tom Tryon, Paul Burke, Martin Milner, Edward G. Robinson Jr., Robert Blake and Spaghetti Western legend, Mark Damon. 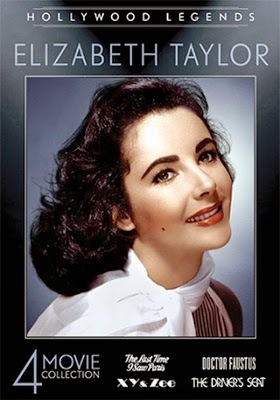 Mill Creek Entertainment has added the four-film DVD release of Hollywood Legends: Elizabeth Taylor to its Mar. 17 release calendar, bringing to eight the number of silver screen legends being celebrated with DVD selections under the company’s “Hollywood Legends” promotional banner. Included in this four-film, double-disc collection are actor/director Richard Burton’s 1967 film adaptation of Christopher Marlowe’s 17th Century Elizabethan stage play, “The Tragical History of the Life and Death of Doctor Faustus of Doctor Faustus,” which was shortened to simply Doctor Faustus for its theatrical release. Burton stars in the title role, while Taylor appears as several women of great beauty and Oxford University Prof. Andreas Teuber appears as Mephistophilis. 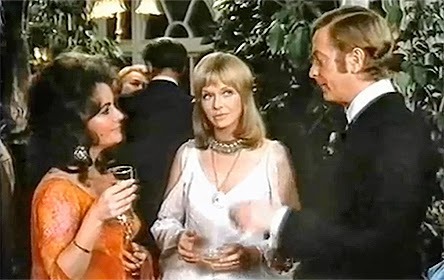 Jumping ahead to 1972 we find Elizabeth Taylor cast opposite Michael Caine as battling wife and husband in director Brian G. Hutton’s X Y & Zee. Susannah York co-stars and provides the third leg of this swinging London love fest. Two years later Taylor starred — as an unlikely “spinster” — in the Italian film production of Muriel Spark’s novel, The Driver’s Seat. Rome is the backdrop and her dance with a deadly destiny awaits … Ian Bannen and Andy Warhol, yes that Andy Warhol, appears in a brief cameo role. This is a guilty pleasure that seems completely out of reason for an Elizabeth Taylor film production. 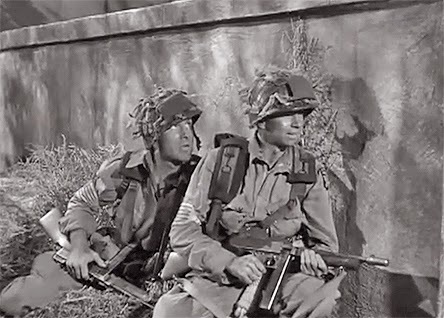 Lastly, Mill Creek Entertainment has included director Richard Brooks’ 1954 film release of The Last Time I Saw Paris, which features an all-star cast that includes Van Johnson, Eva Gabor, Walter Pidgeon, Donna Reed and future James Bond, Roger Moore. Parade Deck Films, with sales and distributional expertise provided by the MVD Entertainment Group, has a one-two horror punch ready for delivery on both DVD and Blu-ray. One jolt in February … the second comes in March!!! Streeting on Feb. 17 is writer/director Don Thacker’s award-winning skin-crawler, Motivational Growth. Ian (Adrian DiGiovanni) is at the end his rope. His life is a mess. The only thing in worse shape is his apartment (cleaning in not Ian’s long suit) and it is a place that he doesn’t seem to ever leave. Yuck! The breaking point comes when his only friend, Kent, dies. That would be really sad for any normal human being, losing your best friend, but Kent was Ian’s television set. So he retreats into his bathroom to kill himself and fails, only to awake to the voice of the mold creature (voice by Jeffrey Combs) that has grown un-checked in his bathroom. Everything up to this point in Motivational Growth is just the warm up. It’s Ian vs. The Mold … bring a barf bag, you’re gonna need it!!! Bonus features include commentary from filmmaker Don Thacker, who is joined by actor Adrian Digiovanni and the voice of The Mold, Jeffery Combs, plus there is a making-of featurette and a photo gallery. On Mar. 24 Parade Deck Films returns with filmmaker Todd E. Freeman’s Cell Count. Sadie Carpenter (Haley Talbot) is dying and her husband, Russell (Robert McKeehen) is desperate to save her, but the doctors at the hospital overseeing her care give him little hope. So it is only natural when the mysterious Dr. Victor Brandt (Christopher Toyne) shows up and says that he has a cure — and indeed, he’s even a “survivor” of the same unnamed disease — that Russell jumps at it, even if the treatment is “experimental!” Yes, we will gladly go to your clinic. If you’ve seen Vincenzo Natali’s The Cube, then you’ll readily identify with Sadie and Russell’s dilemma when they awake three weeks later — having been operated on — to find themselves trapped in “The Facility” with other patients and no clue as to where they are or what is going on. At first their situation seems hopeful as Sadie seems to be better, but … and that is a very big “but.” They mingle, at first untrusting, with the other patients and try to sort out what has happened to them and in doing so try to ferret-out Dr. Brandt’s real motivations. Sadie’s cure, in this case, could be worse than her fatal disease … how could that be possible? Cell Count answers that, in spades! Bonus features include a behind-the-scenes featurette and filmmaker commentary. CJ Entertainment America has selected Mar. 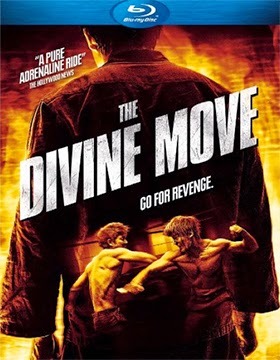 17 as the DVD and Blu-ray release date for Korean filmmaker Cho (Jo) Beom-gu’s all-action thriller, The Divine Move. The intricate board game of Go is the focal point of this tale of revenge as high-stakes pro Tae-seok (Jung Woo-sung — Cold Eyes, Reign of Assassins, Demon Empire, etc.) loses a game to vicious gambler and all-out thug Sal-soo (Lee Bum-soo ) that he could not afford to lose. His brother’s life was at stake … not only is his brother murdered as a result of the wager, but Tae-seok is framed for the killing. Released from prison some years later, he sets about — with the help of two unlikely allies — to revenge his brother’s death. One-by-one he eliminates Sal-soo’s minions (you want action, you want revenge … you got it) until it is once again time for a death-match of Go. Presented in Korean with English subtitles. 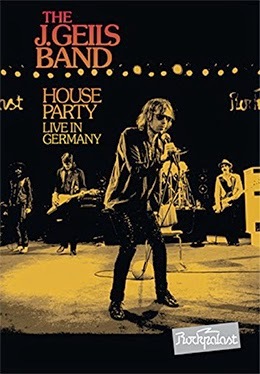 Eagle Rock Entertainment has tabbed Feb. 24 for the DVD release of a retro- Rockpalast live concert presentation (complete with a companion CD). Heading home on that date is The J. Geils Band: House Party – Live in Germany, 1979. 20th Century-Fox Home Entertainment will be celebrating another trip to the museum of strange happenings with the fastest home entertainment turn in the history of the DVD format (and Blu-ray for that matter) with the release of the third installment in the Night at the Museum series on Mar. 10. Night at the Museum: Secret of the Tomb will be available as stand-alone DVD and Blu-ray (with UltraViolet) SKUs. Ticket sales currently stand at $109.8 million and the ARR is a lightning-quick 81 days, which is a new speed record for any film grossing in excess of $100 million released by the studio to the home entertainment market place, eclipsing the previous 88-day mark held by its DVD and Blu-ray releases for both Epic (August of 2013) and Maze Runner (December of 2014). 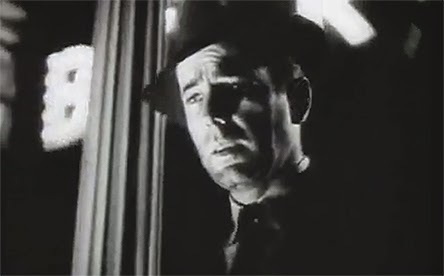 For the record, the “ARR” for a theatrical release making its way to the home entertainment arena is shorthand for the DVD & Blu-ray Release Report’s Asset Rollover Rate measurement, which is nothing more than the window, in days, between a film’s initial theatrical debut and its subsequent availability as either a DVD or Blu-ray product offering. 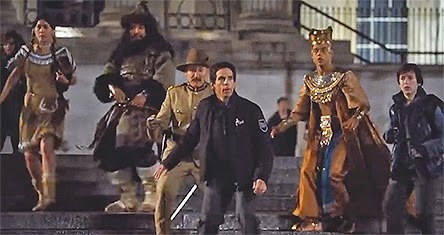 That 81-day ARR turn for Night at the Museum: Secret of the Tomb is also a record for any film grossing in excess of $100 million in domestic ticket sales — from any studio source since the launch of the format in 1997. The previous ARR record of 85 days was held by Lionsgate Home Entertainment’s release of Twilight Saga: Breaking Dawn Part 1 during February of 2012. 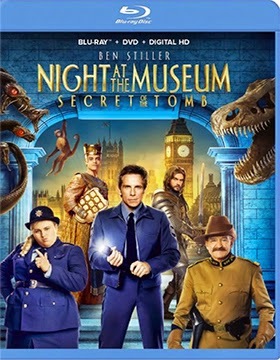 Bonus features for Night at the Museum: Secret of the Tomb include commentary by director Shawn Levy, deleted and extended scenes and seven production featurettes.